Should I Hire a Social Media Agency? The explosion of social media has driven companies to put a big focus on social media marketing over the past few years. You’ve probably heard an executive in your company at one point or another say “we need a social media presence.” All of this demand has led to a boom in new social media agencies that pledge to help your company capitalize on social media and do the heavy lifting. At first glance, the idea of hiring a social media agency seems like a no-brainer. Why should you take on the costs of building your own marketing team when you can outsource it to experienced professionals who know what they’re doing? It’s true that hiring a social media agency can be a wise investment, but it’s not necessarily the right choice for every business. When you hear the phrase “social media agency,” you may envision young, innovative creatives sitting in a hip open office, bouncing ideas around. While that paints a pretty picture, the truth is that there is a lot of work involved. 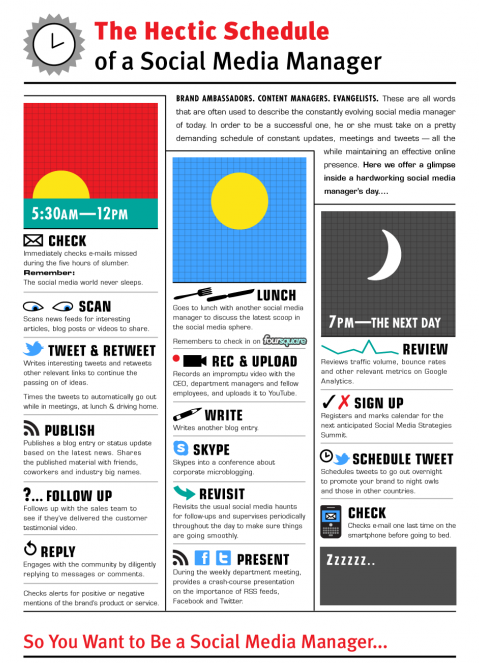 Socialcast put together this detailed infographic on what a typical social media manager’s day looks like. These tasks are all just pieces of the puzzle. Social media managers also have to come up with actual marketing strategies and consistently create new campaigns. As you can see, there is a lot involved. Strategy and planning: This agency will analyze your current social media presence, do competitive analysis and make suggestions on what you can do to improve. They’ll generally come up with a specific plan and show you how to execute it, as well as provide consulting services. This is an ideal model for companies that have an in-house marketing team that doesn’t necessarily have social media expertise or solopreneurs in charge of their own marketing. Social media publishing: This type of agency will handle all of the social media publishing aspects of your business. Your agreement will include a set number of posts for each social network. The agency will do some analysis of popular social media content in your industry and come up with a content plan around that. These services are generally the lowest priced options because there isn’t as much work involved. This model could be ideal for companies with very small budgets who just want to get started on social media. However, you might want to consider using a tool like Sprout Social that makes it easy to publish social media content yourself. Complete management: This agency essentially works as an in-house social media marketing team. They’ll create a strategy, implement it and measure the results for you. This will be the priciest option. It’s ideal for companies that are growing, but don’t want to hire a full-time social media manager. This type of social media agency also works on an as-needed basis, which makes them great for one-time campaigns to promote new products, services and initiatives. Now that you have a clear picture of what a social media agency could do for you, the next step is trying to decide whether or not you should hire one. Here are some questions you should ask yourself before making your decision. Hiring a social media agency just because it seems like the right thing to do isn’t wise. You need to figure out what you want to accomplish. Going to an agency and simply telling them you want to be more active on social media is far too vague. Do you want to generate new leads? Expand your brand? 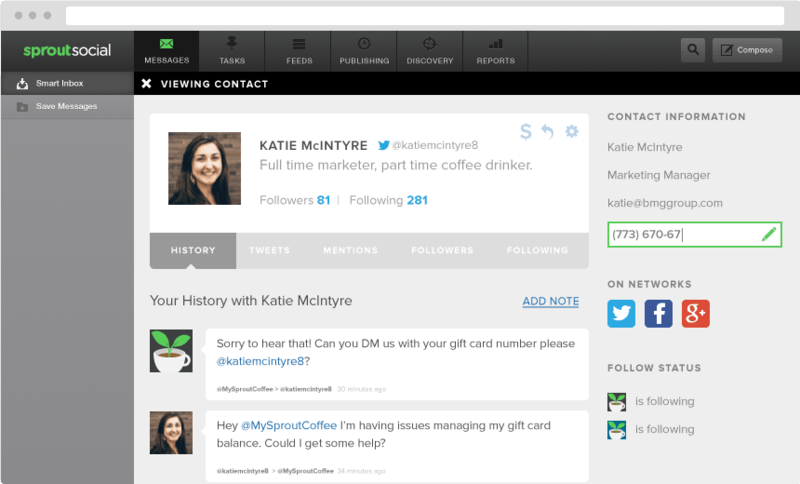 Engage more with your current customers? Are you trying to promote a new product or service? After you’ve established your goals, decide whether or not you even need an agency to accomplish them. For instance, you may not need to hire an agency if you strictly want to use social media to engage with your customers. But if you’re trying to generate new leads and have no idea how to start, an agency could be helpful. Can You Afford an In-House Social Media Manager? A lot of companies hire a social media agency simply because it can be cheaper than hiring a full-time employee. If you can afford to hire a full-time social media manager, it’s something to consider. 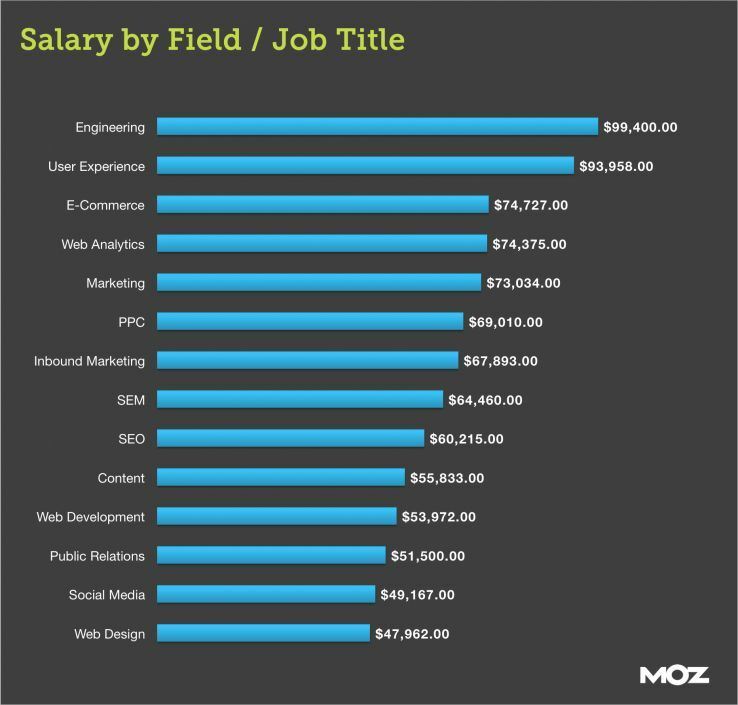 Moz looked at the average annual salaries for online marketing positions, and social media related roles averaged $49,167. While social media agencies have the advantage of a team of people who can take on social media marketing, keep in mind that they’ll also be working on other clients as well. Having someone in-house that is passionate about your company and interacts with every aspect of the business on a daily basis is a big advantage. They’ll have a unique perspective, a better understanding of your customers and will also dedicate 40-plus hours a week strictly to your company. Because social media marketing is something that needs to be handled in real time, having a social media manager in-house will allow your business to respond quicker and with more accurate information. For instance, if someone Tweets a question about a specific service you offer, an agency might not know the answer unless they check with you first. Your social media manager will likely know the answer and can reply immediately. Someone on your team needs to have at least a basic understanding of social media marketing before you consider hiring an agency. There are plenty of cases of bootstrapping companies on a shoe-string budget that have resorted to handling their own social media marketing with zero experience, and achieved tremendous success. For instance, ApeAthletics used social media to help grow its fitness apparel brand from the ground up. The company has grown to over 60,000 followers on Twitter and nearly 50,000 Instagram followers in the last few years. If you eventually do hire a social media agency, you’ll have a much better idea of what work goes into managing your accounts so you can judge whether or not the agency is delivering real value. While we wish we could say that all social media agencies do quality work, that isn’t always the case. The agency might be publishing content, but you need to know how to check if the posts are getting any engagement. Even though you’re outsourcing the work, it’s ultimately your responsibility to make sure everything gets completed and that actual progress is made. With tools like Sprout Social and Google Analytics that make it simple for companies to manage their own social media marketing, it’s definitely worth giving it a shot on your own first. Can You Afford a Quality Social Media Agency? As we mentioned earlier, all social media agencies are not created equal. Just like with SEO, Web design or other aspects of online marketing, you tend to get what you pay for with social media marketing. If your goal is to get a “cheap” agency, then you can expect cheap results. Since social media marketing isn’t a one-size-fits-all service, call around to see what different agencies will charge for your needs. Some agencies will apply the same tactics to every client. While certain social media tactics can work across the board, different industries require unique approaches. If the agency plans on using the same strategy for your auto mechanic shop as they would for a beauty salon, that’s a red flag. 2. How Will You Measure the Success of Our Campaign? Social media ROI is very important. However, it’s not something everyone measures. Not only that, but some companies judge success based on the wrong metrics. 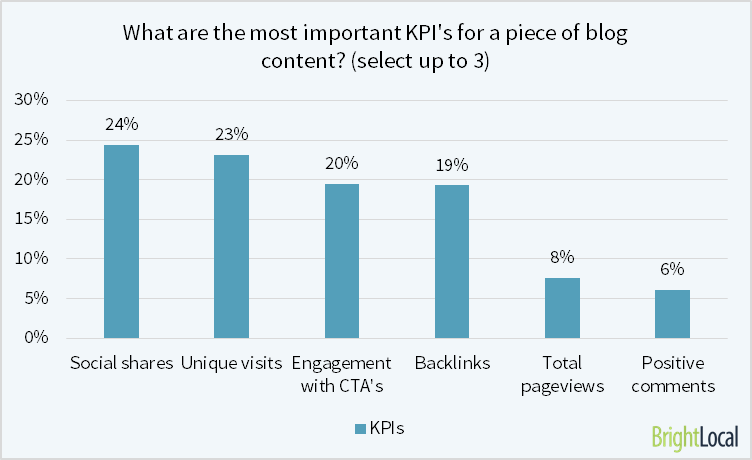 For instance, in a survey conducted by Bright Local, most SEO’s stated social share count was the most important key performance indicator (KPI) for content marketing, even though there are other metrics that are far more valuable. It’s important the agency you hire goes beyond vanity metrics. Their answers should include metrics like new leads, reach, engagement (replies, mentions and Retweets) and traffic. The company should produce reports that clearly show the progress on these KPI’s. If the only metric they measure is the number of new followers you get, throw the red flag. 3. Do You Have Examples of Previous Campaigns and Companies You’ve Worked With? Taking a look at the work a social media agency has done in the past will give you a very good idea of how they approach social media marketing. Are their clients’ Twitter streams filled with nothing but promotional Tweets and links to blog posts? Or do they have a healthy mix of replies, graphics, videos and other media? The best agencies understand the importance of interacting on social media and publishing content specifically for each platform. You should also research the companies you’re meeting with. Salespeople are going to tell you about their best work and most satisfied clients. However, if a Google search unveils a long line of clients that have been unsatisfied with their work, that could be yet another red flag. 4. Which Social Media Platforms Should We Focus On? Assuming you’ve given the agency time to do some research, you should ask them which platforms they plan on helping you with. If their response is “all of them” or “whichever you want,” then run for the exit. Companies that take the shotgun approach to social media marketing usually just post the same exact content across all of your profiles. That’s ineffective and won’t get you great results. You want to work with an agency that understands how each social media platform operates and where your business best fits. They should know where your audience is and focus on just those platforms. 5. What Steps Do You Go Through for Your Strategy Development Process? Serious agencies have a specific process they go through when putting a strategy together. It might involve competitive analysis, keyword research and audits of your current profiles. There isn’t a single answer for this, but what you’re looking for in their answer is the ability to clearly communicate the process that they go through. If they can’t explain what they’ll be doing, it’s a sign that they’re inexperienced or that the agency doesn’t create unique strategies for each client. If they start blasting off a long list of additional services like SEO, AdWords management, website design, print material, PR, direct mail and every other marketing service known to man, that can be a red flag. Unless you’re dealing with a very large agency, the company likely doesn’t have a qualified team to be great in every single field. You want to work with a company that has social media marketing as its core competency. The agency you choose should understand how social media marketing affects SEO, PR and other aspects of marketing. At the same time, if an agency offers all of these other services, there’s a good chance it’s a company strictly set to make money. 7. How Many People Work for Your Agency? One of the reasons you’re hiring an agency in the first place is because you don’t have the time for social media marketing. If the company you’re hiring only has a team of three people, and they work with several clients, the agency probably doesn’t have the necessary means to dedicate true social media marketing strategies to your company. 8. How Many Clients Are You Currently Working With? This question should come directly after the previous one. If the company is overwhelmed with clients, your project might not be a top priority. While agencies tend to put companies with specific teams, you don’t know what you’re going to get. Social media marketing is time consuming, and you need a company that’s going to put in the hours to get results. Otherwise you’re flushing money away. A team of three people doing social media marketing for 50 clients is a serious problem. 9. Why Do You Think We Need Social Media Marketing? 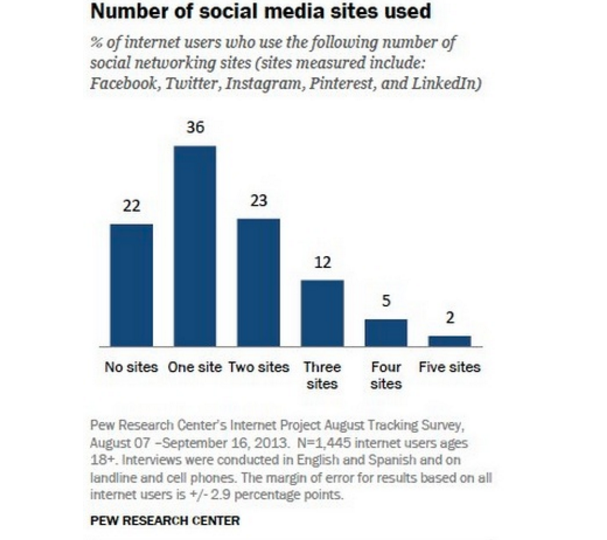 Any agency can rifle off statistics like more than 70% of US online adults use some form of social networking. However, the agency’s answer should be about why your specific company needs social media marketing and how you will benefit from it. Maybe your company’s name is mentioned a lot on Twitter or one of your main competitors is getting a majority of its leads through Facebook. You want to look for specifics here, not broad statements about why social media marketing is important. If an agency’s answer has nothing to do with your company, it shows that they haven’t done nearly enough research. 10. How Do You Connect With Influencers on Social Media? Connecting with others is one of the top benefits of social media marketing. If the company doesn’t plan on building relationships for you, then their services are probably just publishing content, which is something you could do on your own. As for the process they lay out, you want to make sure that they don’t plan on spamming people by sending DM’s with links to your website. 11. What Tools Do You Use? At the bare minimum, an agency should use a social media dashboard like Sprout Social and Google Analytics. They may use some additional tools for keyword research, competitive analysis and project management, but the key is to make sure an agency uses some sort of tool to stay organized. If they’re using a lot of automated tools to mass auto-follow accounts and send SPAM, you risk getting your social media accounts suspended while practically ruining your brand loyalty. Look up any tools they mention that you’re unfamiliar with to make sure they’re safe to use. Those are some of the more in-depth questions you should ask an agency. They’re designed to weed out companies that aren’t qualified or don’t have your company’s best interest at heart. It’s a good idea to print out all of these questions, as well as others you have, so you can compare the answers you get from each agency. If you ultimately decide that an agency isn’t the route for your company, but still realize how critical social media marketing is, then there are other options. Here are some alternatives to hiring a social media agency that you should consider. One of the top benefits of social media marketing and all of the tools available today is that it’s very easy to work with people remotely, which has opened the doors for freelance social media marketing. These experts tend to avoid working with an agency, but take on clients for a specified length of time or for individual projects. Freelancers are great because you can use them when you need them and for specific tasks. For instance, you could hire a freelancer to find content to share on Twitter and Facebook, and to schedule them through Sprout Social’s enterprise social media tools. Or you could have them create a strategy for you and implement it yourself. There are plenty of sites to find freelancers like Upwork, Craigslist or even Fiverr. Look over each person’s qualifications to make sure they’ll be a good fit for the work you need done. If your company is growing steadily and relies on online marketing for branding and new leads, bringing on a full time social media manager could be a smart investment. In addition to some of the benefits we mentioned earlier, it’ll give you the building blocks to start creating an entire marketing department over time. Read our post on the different types of social media managers to get an idea of what to look for during the hiring process. More colleges offer social media marketing courses, which has resulted in students looking for internships that’ll give them some real life experience. Students can be a great source for fresh and innovative ideas for your business. Also, they could eventually become full-time employees after graduation. They might not be as experienced, but interns and college students can be affordable options for businesses on a shoe string budget that want to incorporate social media marketing. This position could go by a few different titles, but it’s basically an employee who handles different aspects of your company’s online marketing. They may do some SEO, blogging, outreach and social media. While it’s best to have someone who specializes in social media marketing, merging some of the different marketing efforts into one role makes sense for certain companies, primarily small businesses. If you go this route, you may opt to hire outside agencies for SEO and social media marketing for certain occasions, and have this person act as a liaison between your company and the agencies you work with. Hiring a social media agency is an important decision. It can be particularly difficult if you’re not well versed in the world of social media marketing. Put some time and effort into choosing an agency that’s a good fit for your needs, using the tips we’ve mentioned. Whether you go with an agency, freelancer or hire a new employee, choose someone you feel comfortable with. Social media marketing is vital for for your business, hire the right person to manage it.